The ID Co wants to win personality contests with the launch of its NoMo Money app for cashflow tracking via open banking. You may think it’s just another app, but the ID Co is having none of it. It reckons the app differentiates itself from other personal finance management (PFM) apps by bringing a “healthy dose of personality, aligned with a clean and simple interface”. 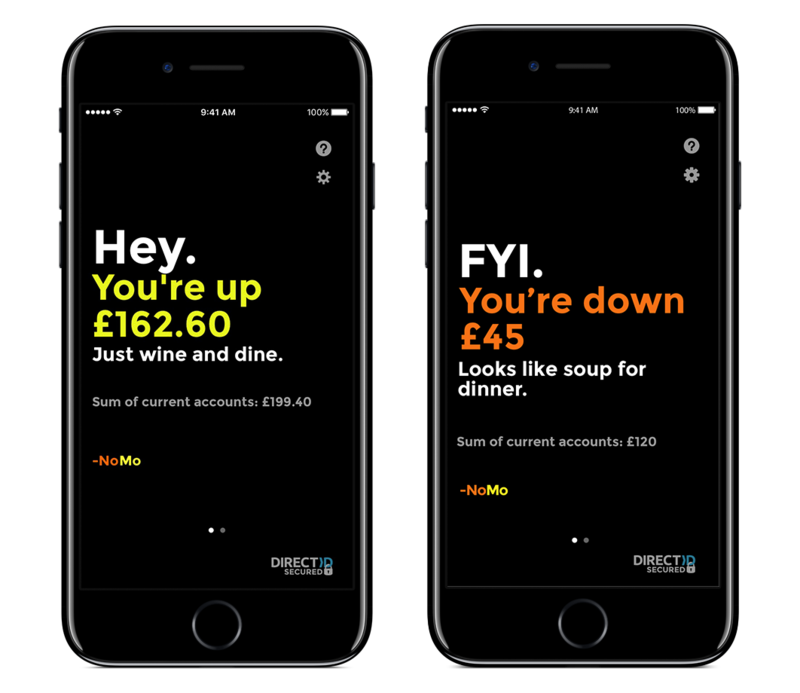 The app seeks to offer users “an honest appraisal of income and outgoings, simply, and with a human touch”. NoMo aims to let users see if they are up or down in their finances by comparing their daily historic average of their current account against the current sum of funds. The ID Co’s CEO, James Varga, says the app “allows customers to answer one very simple, but important question”. NoMo consists of two main screens: snapshot and summary. The snapshot shows the user how much they are up or down with the aid of personal messages from NoMo. If people in the UK got paid proper salaries then none of this would be needed. NoMo has been launched to complement the offering already offered by the ID Co., which includes the B2B platform, DirectID. DirectID supports 5,500 banks in 32 countries, and in August integrated with Clydesdale and Yorkshire Bank (CYBG) to allow CYBG customers to view accounts with other banks within their “B” App.